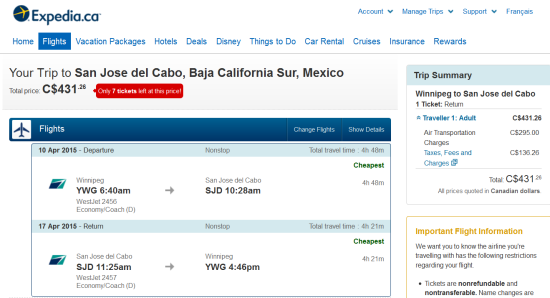 A good sale to Cabo. 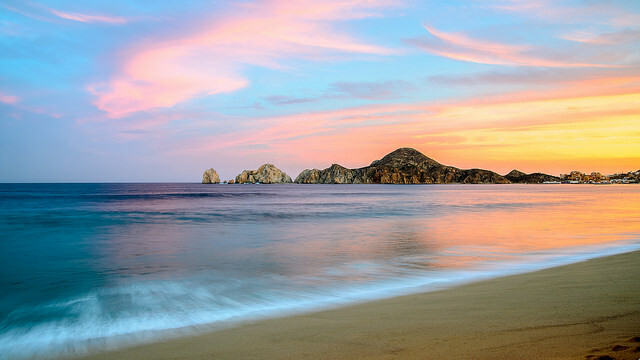 WestJet’s nonstop service between Winnipeg and Cabo San Lucas is once a week service on Fridays. To obtain this price, you have to travel a minimum of a week. Valid for travel from April 1st – May 9th. Must purchase at least 7 days in advance of departure.